Black Widow is a dark deviation of its older sibling White Widow. Both are a mix of a Brazilian Sativa and a South-Indian Indica. It is known to produce the highest of highs giving users trippy feelings of euphoric bliss. The strain retains its Indica heritage imparting a mild body high that can leave one stuck to the couch. The strain is primarily used to increase appetite. Some people, however, use it for anxiety, stress, and/or insomnia relief. Due to its Indica properties, it also helps people with chronic pain. Because Black Widow induces feelings of laziness and sleepiness, it is recommended for evening use. 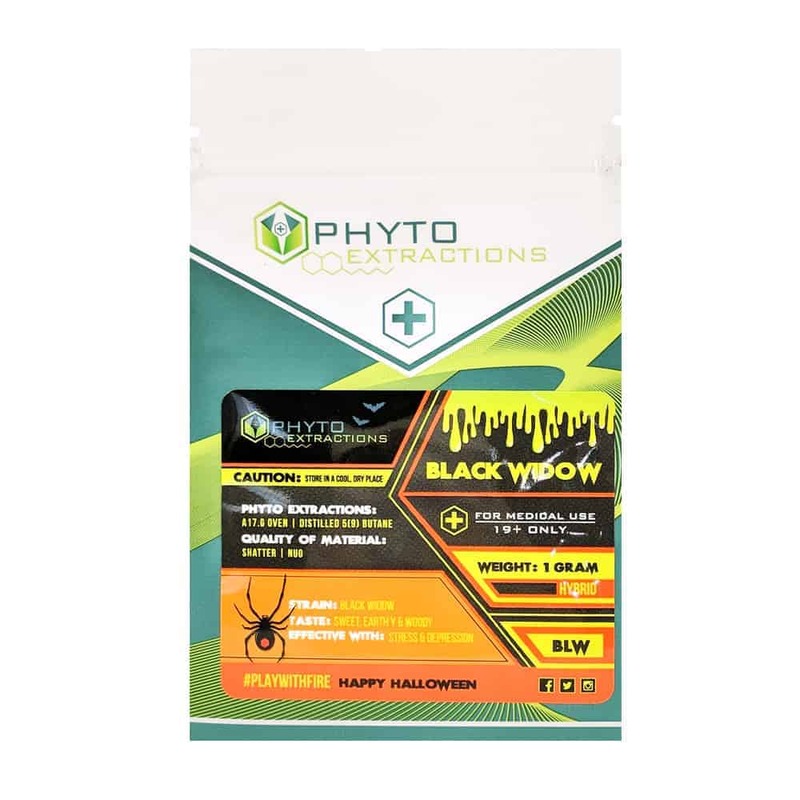 1 review for "Phyto – Black Widow – Hybrid Shatter"
This strain is the absolute perfect blend of indica & sativa.. hits right behind the eyes then let the creativity or house cleaning commence!